Maak kennis met de artiesten van het SANGASARI FESTIVAL! Get to know the artists of the SANGASARI FESTIVAL! By her students respectfully refered to as “Biyang Bulan”, Bulantrisna Djelantik was a Balinese classical dancer since childhood. Since then she enjoyes a rich career in many countries all over the world. At the age of 9 she danced in Holland and London and at age 12 she danced for President Soekarno in Ho Chi Minh. Her youth was filled with dancing for local ceremonies and festivals in Bali and for tourists. Later she joined the Presidential Cultural Missions abroad, with dancers and artists from other areas. She performed Legong at the Presidential Palace in Jakarta, among others for Queen Beatrix from Holland and President Clinton and Hillary Clinton in the late 90s. In 1965 she moved to Bandung, West Java, to pursue studies in medicine and reached her PhD in ENT community health at the Antwerp University (1996). She never stopped teaching and performing Bali dances even while she was busy in her medical profession. In 1994 she started AyuBulan Dance Group (or Bengkel Tari AyuBulan) in Bandung, for the younger generation, and she became a specialist in the Balinese Legong courtdances. Besides this she choreographed many new pieces, inspired by classical Balinese dance. 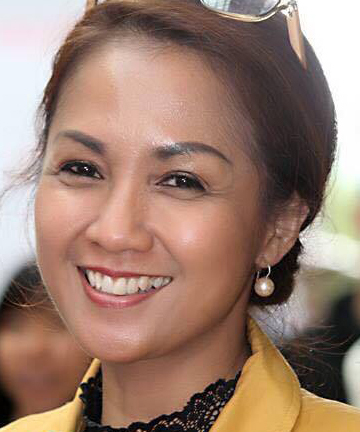 She is a member of the Board of Trustees of the Indonesian Society for Performing Arts (MSPI) since 1997. Bulantrisna Djelantik received the MURI (Museum Rekor Indonesia) as active dancer and teacher for more than 55 years in November 2014. She edited and wrote parts of the book: Tari Legong dari Kajian Lontar hingga Panggung Masa Kini, published by Denpasar City in 2015. Also she was very actively involved in the listing of 9 Balinese Dances as Intangible Cultural World Heritage, which was encrypted on December 5th 2015. In 2016 she was Legong dance consultant for the documentary “Charlie Chaplin Visits the East” directed by Raphael Millet, Phisih Communications. “Gus Surya” as he is referred to in daily life, has a primary focus in the field of Balinese mask dances. He was awarded “Best Graduate” on the Masters Program Graduation in ISI Surakarta in 2011 and won the 3rd prize of the Tari Jauk Manis Competition in 2012. Since 2011 he is a guest artist and performer at the annual Nusa Dua Fiesta. In 2014 he was a participant of the “International Folklore Dance Festival” in Romania. He makes many new dance compositions, amongst which are some pieces for large kecak-dance choirs. Despite his age Gus Surya is already a well know teacher and he worked with the famous mask dancer I Made Djimat. Also he taught workshops for students in Thailand and Malaysia. 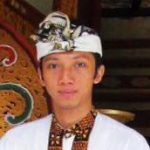 Now he is a lecturer and dance teacher at the Indonesian Institute of the Art (ISI) Denpasar and for the Darmasiswa Program (foreign students class) also at ISI Denpasar. Born in Sanur into a family of dancers, Evie has been dancing since she was three. She trained at the Tanjung Sari Hotel Foundation for the preservation of legong dance under the famous dancer Ni Ketut Reneng. Evie was awarded the first prize for the island-wide Legong Condong competition and island-wide traditional Balinese vocal Macepat competition at age 10. Together with her husband, Vaughan Hatch (see below), she established Mekar Bhuana Centre, a family based centre in Denpasar that documents rare and extinct Balinese court and archaic gamelan music and dance. 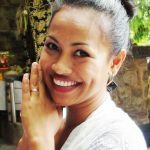 To help keep the centre sustainable, in 2010 she co-founded the world’s first online store that specialises in quality Balinese music and dance products. Evie has extensive teaching experience, and private students and groups from overseas regularly take lessons and workshops with her and her team. Together with her family selonding (old type of Balinese gamelan music) group (formed 2012), Evie has choreographed several dances inspired by the compositions of her eldest son, Gede Semara, who at six years old is said to be Bali’s youngest composer ever. 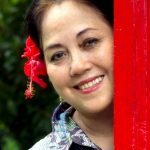 In 2010, she pioneered remote learning in Bali by creating a Balinese dance tutorial, and subsequently teaching via Skype. Evie herself regularly performed abroad, such as during the Esplanade in Singapore, the Asian Games in China, at the International Percussion Music Festival in Sacheon, South Korea and touring New Zealand in 2015. Putri Mingansari was born in Padang on the Indonesian island Sumatra. As a Balinese she started to learn dance from a very young age and later, when she moved to Bandung (West Java), became a dancer and teachter at AyuBulan Dance Group, founded by Bulantrisna Djelantik (see above). She is especially know for her strong expression and therefor a famous dancer of the Balinese Tarunajaja dance, which depicts a young boy growing up. Putri regularly performs abroad, expecially in India, where she is often involved in collaborations, for instance during the DIAF (Delhi International Arts Festival) in new Delhi in 2015. Ketut Tutiek Rahayu was born in Singaraja, Bali, Indonesia on the 27th of January in 1973. She studied Indonesian traditional dance in STSI Denpasar (institute of arts) from 1991 – 1996. Since 1992 till now she participated in many Balinese culture promotion events in Indonesia and worldwide. Today Tutiek lives in Berlin, Germany and currently works at the press, social and culture department of the Indonesian embassy. Made Agus Wardana was born in Denpasar (Bali) in 1971. He learned to play Balinese gamelan-music by his parents and elder brothers and sisters. In 1995 he graduated from the Conservatory STSI (now ISI) in Denpasar, where het got his master in Music. He participated in many festivals in Indonesia and won several prizes. In 1994 he was awarded Best Musician of the year and Best Kendang (drum) player by the gouvernour of Bali. After this he was invited to play together with his teachers in België, Duitsland, India and South-Korea. Since 1996 he lives in Belgium and perfomance and teaches regularly at festivals all around Europe. Made Agus Wardana is a musician who never stops. Living in another country had made Wardana love his own culture even more. His main purpuse in life is to share the richness of his culture with others and to collaborate with musicians from other cultures. In Belgium he started many ensembles and bands, such as ‘Saling Asah’, ‘Mekar Swari’, ‘Amritha/Ciaaattt Band’, ‘Kembang Nusantara’, ‘Iswara, Remaja’ Indonesia’, ‘Duo Made and Dharma Wanita of Brussels’ Indonesian Embassy’. Made Agus Wardana often performans with other well known Indonesian and Belgian artists, such as Balawan, Iwan Wiardz, Dodong Kadir, Renaud Patigny, Gabriel Laufer, Karim Baggili, Kathy Adam and Philippe Laloy. 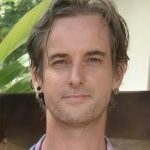 A resident of Bali for almost 20 years, Vaughan is an ethnomusicologist, music archaeologist who specialises in Balinese court music. He, together with his wife Putu Evie Suyadnyani (see above), is the founder of Mekar Bhuana Centre (www.balimusicanddance.com) in Denpasar that has the aim of documenting and reconstructing rare and lost Balinese music from the court and archaic periods. Since 2009, Vaughan has coordinated ongoing documentation and reconstruction projects, which have resulted in the repatriation of numerous pieces of gamelan court music in local villages, as well as commercial production of audio and video documentation. As a music archaeologist, he and his team at Mekar Bhuana also restore and reconstruct court and archaic instruments, which includes retuning the instruments based on vintage recordings and field-notes. Vaughan been invited as speaker to a number of prominent local conferences on Balinese culture and has made presentations on his research in Singapore, Canada, USA and New Zealand. Since 2012, he has created, managed and taught numerous custom-made cultural immersion programs for groups as well as school and university students from around the globe, including America, Europe and Asia. In 2013, Vaughan was World Music Artist in Residence at the University of Toronto where he taught rare repertoire and gave seminars and workshops about the importance of documenting and archiving Balinese traditions. 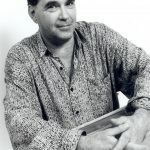 Henry Nagelberg is a percussionist with almost 45 years experience studying, performing, and teaching non-western musics on a professional level. He was raised in New York City, and after receiving a Master of Science in Clinical Psychology from the City University of New York, he took up permanent residence in Western Europe from 1972. Already comfortable in Afro-Cuban, Turkish, and Arabic rhythm, his first work in the Netherlands was with the choreographers Pauline de Groot, Sjakkelien Knoops, and Bianca van Dillen. Always particularly fascinated with Indian music, he began studying the Tabla in 1974. Eventually going on to becoming a formal disciple of Tabla Maestro Latif Ahmed Khan, he spent a total of 4 years in India, until Latif’s untimely death in 1989. Since 1990 he is learning from Pandit Swapan Chaudhury, and from 1998 till 2014 was assistant teacher to Pandit Chaudhury during the yearly Indian Music seminars at the Music Akademie in Basel. 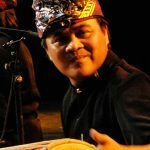 In 1986 he joined the original Gamelangroup Tirta in Amsterdam, and soon after was invited to play Kendang (Balinese drum) by Sinta Wullur for her Gender Wayang Batel group, Irama. After a series of successful programs in Europe with the Dalang (shadow puppeteer) I Wayan Wija, the Gamelan group Sandi Sari was formed in 1995. In 1997 the Topeng dancer I Nyoman Catra and master musician I Ketut Gde Asnawa were invited for a tour of Holland and Belgium with a performance of Topeng Pajegan (kind of Balinese mask dance genre). In 1995 the group Sekar Alit was formed in Museum Volkenkunde, and is still active. Henry Nagelberg has also taught Balinese music at the World Music School in Amsterdam and in the Tropenmuseum. He has made more than 14 trips to Bali, and has learned from many different teachers, among them Wayan Tembres, Wayan Jebug, Wayan Kumpul, Ketut Gde Asnawa, and most importantly, from Nyoman Sudarna. In 1997 he was allowed to join the group Kaliunga Jaya, under direction of I Ketut Gde Asnawa and I Komang Astita, and perform one number, as group member, during the yearly Arts Festival in Den Pasar.